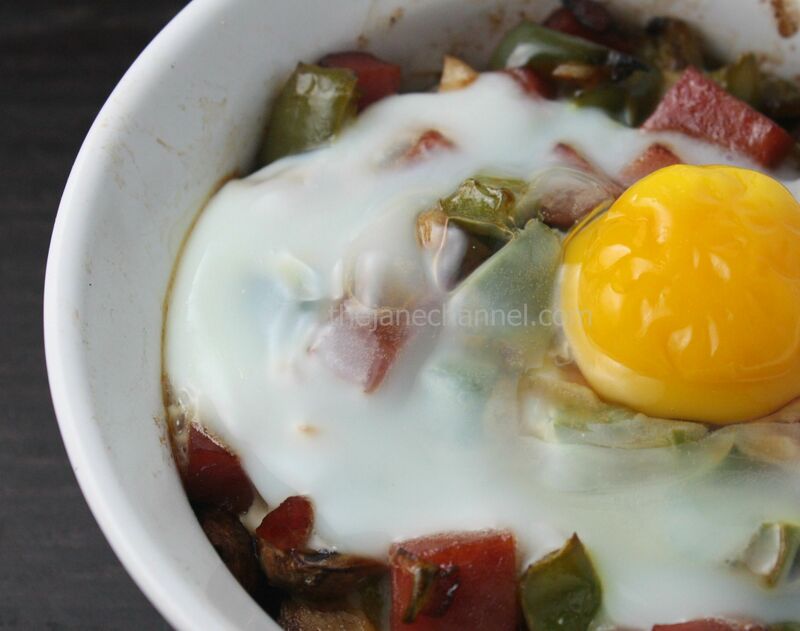 You can find everything you need for breakfast in this one small casserole. Sausage, Egg, potato, and pepper, seasoned with herbs. It’s both light and satisfying. Arrange potatoes in an oven-safe 16 oz round dish, sprinkle rosemary, paprika, olive oil, salt and pepper. Mix well. Place in a preheated oven at 350°F for 40 minutes. While the potatoes are in the oven. Heat oil in a skillet over medium heat. Add mushroom and cook for 3 minutes or until lightly browned. Sprinkle salt and remove from pan. Next, cook the sausages in the skillet for 2 minutes. Stir in garlic and pepper, cook for 3 minutes. Bring the ramekin out from the oven. Top with mushrooms, sausages and peppers. Carefully crack an egg into it, making sure to keep the yolk intact. Bake for about 15 minutes at 375 degree.